Kritters Thoughts: What a fantastic book! With two storylines that connect from the beginning this story seemed like such a unique take on a topic that is the focus of a lot of books - World War II. The "present day" storyline is centered around an older woman in Italy who is being forced off her property by a corporation. She swears that the land is hers and she is connected with Catherine and Liam Taggert who come to the rescue to get to the bottom of the mystery. 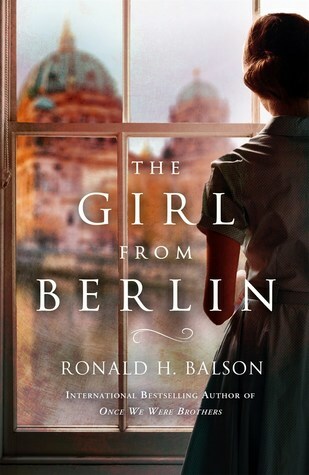 The historical storyline starts in 1918 and begins in Berlin with a young girl who is learning the violin from her accomplished father and has big dreams of joining a symphony. The historical storyline shows up in the current storyline as a memoir that Catherine and Liam are told hold all of the answers to help Gabi keep this land. It was so natural as to how the story was introduced and became a part of the current storyline. I loved the historical storyline. Ada Baumgarten's view of the war was so unique and interesting. She watched her precious city of Berlin slowly get invaded and watched her friends and families lives get completely turned upside down. In the height of it all, she was lucky to move to Italy, but she also watched the same thing happen there. It was interesting how she was both safe and in the crossfire of the Nazis. If you are hesitant to pick up World War II books or historical fiction in general, I would challenge you that this should be the one for you to pick up and try. I fell in love with the characters in both storylines and loved how easy they flowed back and forth.